Fat isn't the problem. Dieting is the problem. A society that rejects anyone whose body shape or size doesn't match an impossible ideal is the problem. A medical establishment that equates 'thin' with 'healthy' is the problem. The solution? 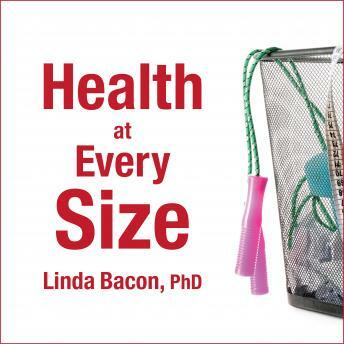 The Health at Every Size program. Tune in to your body's expert guidance. Find the joy in movement. Eat what you want, when you want, choosing pleasurable foods that help you to feel good. You too can feel great in your body right now-and this book will show you how. Updated with the latest scientific research and even more powerful messages, Health at Every Size is not a diet book, and after finishing it, you will be convinced the best way to win the war against fat is to give up the fight.